The 15th Amendment is about Race No Bar to Vote. Summary: The 15th Amendment was ratified in 1870, during the administration of Ulysses Grant, stating that a citizen's right to vote cannot be taken away because of race, the color of their skin, or because they were previously slaves. When was the 15th Amendment passed? It was passed by Congress on February 26, 1869 and ratified on February 3, 1870. 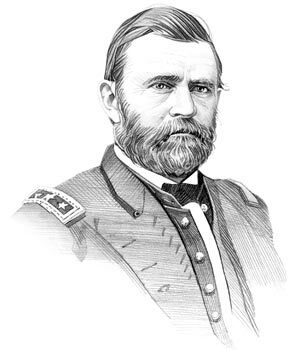 Ulysses Grant was the 18th President of the United States whose presidency spanned from March 4, 1869 to March 4, 1877. One of the key events during his presidency was the ratification of the 15th Amendment to the Constitution. The cause or reason for this addition to the Constitution was to try to ensure the voting rights of of black male citizens and to nullify the Dred Scott decision. However, in many Southern states the implementation of poll taxes and literacy tests, attempted to deny this right for nearly 100 years when the issue was addressed in the 24th Amendment. The Voting Rights Act of 1965 eventually suspended the use of literacy tests in all states. A poll tax (one of the 'Jim Crow ' racial segregation laws was enacted by many Southern states as a means of restricting eligible black voters. Poor blacks were unable to pay the tax and therefore could not vote. Literacy tests were also introduced as part of the voter registration process. Anyone who had not been educated was certain to fail the Literacy test and therefore not be able to vote. Many poor whites were protected from the Poll Tax and Literacy Test measures to prevent voting by the 'Grandfather Clause'. The Grandfather Clause allowed anyone to vote if their father or grandfather had been registered to vote before the 15th amendment. The 15th Amendment caused outrage in the Women's Suffrage Movement because the amendment made no reference to a woman's right to vote. ...on account of race, color, or previous condition of servitude"
Explanation & Meaning: The meaning of the word 'abridged' in this section means reduced. So neither the US government, nor individual states, can deny US citizens the right to vote based on race (their ethnic group), color or whether they were previously slaves. It should be remembered that Amendment 13 abolishing slavery at the end of the American Civil war (1861-1865) was only passed 5 years before this amendment. "...The Congress shall have the power to enforce this article by appropriate legislation." Meaning: Congress can make any laws to enforce this change to the constitution. The above information provides the text, definition and summary of the amendment. The following Ulysses Grant video will give you additional important facts and dates about both the personal life and political life of the 18th President of the United States whose presidency spanned from March 4, 1869 to March 4, 1877.